Professional editing software for video and audio lovers. Aiseesoft Video Enhancer 1.0.3 was available as a giveaway on March 28, 2017! 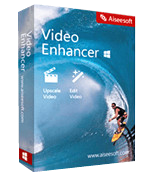 Aiseesoft Video Enhancer is the professional editing software for video and audio lovers. It lets you clip and merge video and audio freely to make the video or music collections. Also it supports rotate, crop, watermark, enable 3D settings and edit effects to create your own videos to watch and share easily. 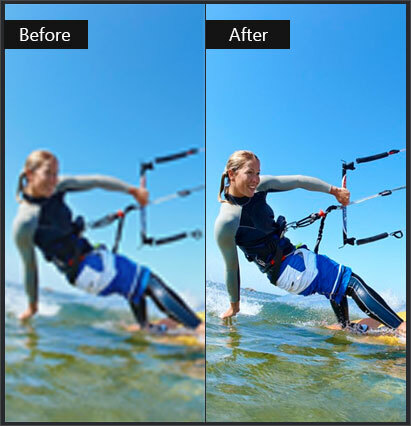 Most importantly, the incredible enhancement tool provides you with the ways how to enhance video quality. 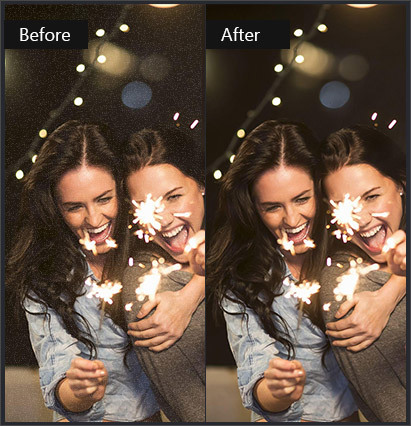 Upscale resolution from SD to HD, even 4K; Optimize brightness and contrast automatically enables fresh hands to adjust video effects with ease; Video noise removal lets you get rid of the dirty-like spots on the screen, and reducing video shaking guarantees you the stable video. 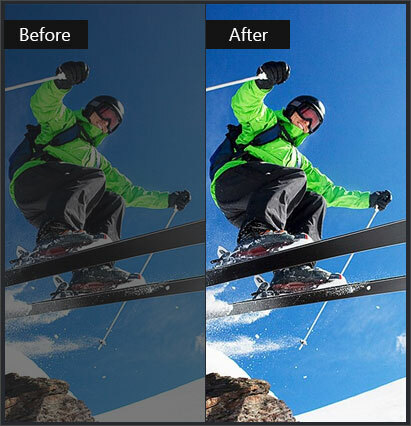 How would you improve Aiseesoft Video Enhancer 1.0.3? Aiseesoft studio. No doubt it is a good product, and I wanted to have full lifetime licenses of a bundle years ago. Can't buy it though because almost all your products use swreg (only offering payment with a credit card or with a paypal account). It is no use to display currency in Euro and not offering payment methods that are customary in Europe (lots of people don't use credit cards or Paypal in Europe). I can only buy the full Aiseesoft All-in-1-bundle through Avangate (offering payment options I can use). 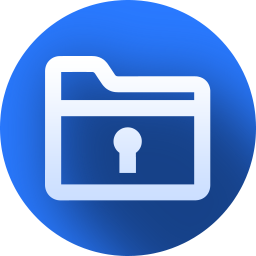 Unfortunately it is not clear if the apps in this bundle are lifetime or one year licenses, so it is too big a risk. Result: can't buy anything. Aiseesoft studio. No doubt it is a good product, and I wanted to have full lifetime licenses of a bundle years ago. Can't buy it though because almost all your products use swreg (only offering payment with a credit card or with a paypal account). It is no use to display currency in Euro and not offering payment methods that are customary in Europe (lots of people don't use credit cards or Paypal in Europe). I can only buy the full Aiseesoft All-in-1-bundle through Avangate (offering payment options I <b>can</b> use). 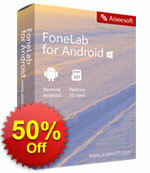 Unfortunately it is not clear if the apps in this bundle are lifetime or one year licenses, so it is too big a risk. Result: can't buy anything. Installed this without problem on an XP64 machine and am really impressed with the quality of the upscaling I have tried. The brightness and contrast doesn't seem to add much but the upscaling (I tried 480x640 to 720x1280) worked really well. Many thanks to GOTD and Aiseesoft. Recent days, I fill email to receive the link, but cannot receive any email from GAOTH. Hi, Recent days, I fill email to receive the link, but cannot receive any email from GAOTH. Tony, can you find it in your spam? Yes, find any where inside email before I give a comment. Yesterday, I clicked on Aiseesoft Video Enhancer 1.0.3 and filled but didn't receive the llink too. Aiseesoft studio, Yes, find any where inside email before I give a comment. Yesterday, I clicked on Aiseesoft Video Enhancer 1.0.3 and filled but didn't receive the llink too. My copy did not register until I pressed the "enter" key on the keyboard. That is, it did not register or move using the designated on-screen button for that. Figure. Bruce, thank you for words. As your problem, please contact our customer support(support@aiseesoft.com). Thank you for your cooperation. Tried this for the video stabilisation feature, and discovered it's useless. Couldn't even tell the difference between the original and 'fixed' video. JDP, as your problem, please contact our customer support(support@aiseesoft.com). Thank you for your cooperation. Once confirm your problem, we will give you resolution soon. Downloaded this (latest video Enhancer program), along with the Aiseesoft newest Converter ultimate trial to test enhancement and download improvements. This latest version is sleeker, and faster in processing, but that’s about it. Hardly any new video/audio enhancement or video fade effects, approx the same options from a year ago, when compared these latest versions used. The ones enhanced and trimmed by this program looked worse in output in my opinion. Also tried their latest Aiseesoft downloader/converter Ultimate trial, has never worked consistently, many online videos fail analysis in it, bit similar programs have no problems reading and downloading the same videos. Same mediocre output results in these ones too. Again nothing special, compared to similar programs currently, was hoping output quality would be better on this update, **(Also I used all the the Enhance Options Avail)**, but still does not quite output as higher resolutions as similar advanced Downloader/Converters tried. Ren W., as your problem, please contact our customer support(support@aiseesoft.com). Thank you for your cooperation. Once confirm your problem, we will give you resolution soon. This is not a video enhancer but a video converter with some bells and whistles to potentially enhance output, which has been present in their software before. However, finally we have some Intel Quick Sync acceleration option, which may speed up the conversion process on more machines, although it should be noted that H265 conversion is not supported with Intel acceleration (although may be with the latest processors). It does a good enough job with the features available. This is not a video enhancer but a video converter with some bells and whistles to potentially enhance output, which has been present in their software before. However, finally we have some Intel Quick Sync acceleration option, which may speed up the conversion process on more machines, although it should be noted that H265 conversion is not supported with Intel acceleration (although may be with the latest processors). It does a good enough job with the features available. Any idea why the description says it "enables fresh hands to adjust video effects with ease" ??? Do I even want that to happen? The email method of requesting the license key is not working for me. No emails are received, even in the spam. I would prefer not to burden friends on Facebook with receiving ads for the software, and would be pleased if Giveaway of the Day would eliminate this method. The email method of requesting the license key is not working for me. No emails are received, even in the spam. I would prefer not to burden friends on Facebook with receiving ads for the software, and would be pleased if Giveaway of the Day would eliminate this method. Ummm, what does "Optimize brightness and contrast automatically ENABLES FRESH HANDS to adjust video effects with ease" mean? If my hands aren't "fresh", does that mean I can't adjust video effects? Just asking. Tried only enhance with optimize and reduce options. Results were subtle improvement in color balance for video auto-exposed with very warm illumination and modest but useful reduction of jitter in pans on tripod-mounted camera. Not sure if the program is working but it's supposed to be upscaling a 1080p video file to 3840x2160 VP9 webm file with all the enhancements enabled and the CPU usage is basically idling at 2 to 15% and GPU is reporting 9 to 13% usage... progress has been at 0% for the last 10mins... peak working set memory only 280Mbytes... 0% usage for the aiseesoft video enhancer.exe process... I'll let it run an hour but I don't hold out much hope that it'll get any further! I would recommend GOTD to add a label to a program line for the license. In order to clearly at the outset limited - nothing, 1 year support, one year license, etc. Aiseesoft sells their converter engines to many softwarepublishers (seemingly only the interfaces differ). 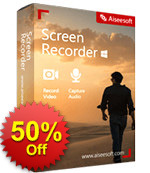 Though it is advertised as an enhancer, it is much like their Aiseesoft videoconverter ultimate. It has no Load disk or Edit button, but through the video enhance button you have almost the same editing functions as its bigger brother (audio to audio conversion is also not possible with the GOTD). There is something new however, the intel quick sync support that could shorten conversion times. I find the interface of Aiseesoft converters to be the best around; you can add video´s to be converted with clipping (and merging) various parts of one video, in batch, with different export settings per video. After conversion, the video batch is not cleared so if the output is unsatisfactory, you don´t have to set up a batch again. Aspectratio or cropping errors are also problems aiseesoft has solved, contrary to the greater part of the competition. Upscaling works good; export quality: in the years i must have tested 20+ video conversion softwares and I don´t know any better. B.t.w. when you clip a movie, the clip is added to the conversion batch. If you only want to convert the clip, remove the full (unclipped) movie from the batch. It is not perfect (variable bitrates would be appreciated) but Aiseesoft remains my first choice in converters. Aiseesoft sells their converter engines to many softwarepublishers (seemingly only the interfaces differ). 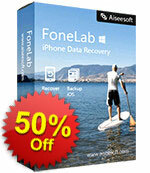 Though it is advertised as an enhancer, it is much like their Aiseesoft videoconverter ultimate. It has no Load disk or Edit button, but through the video enhance button you have almost the same editing functions as its bigger brother (audio to audio conversion is also not possible with the GOTD). There is something new however, the intel quick sync support that could shorten conversion times. I find the interface of Aiseesoft converters to be the best around; you can add video´s to be converted with clipping (and merging) various parts of one video, in batch, with different export settings per video. After conversion, the video batch is not cleared so if the output is unsatisfactory, you don´t have to set up a batch again. Aspectratio or cropping errors are also problems aiseesoft has solved, contrary to the greater part of the competition. Upscaling works good; export quality: in the years i must have tested 20+ video conversion softwares and I don´t know any better. B.t.w. when you clip a movie, the clip is added to the conversion batch. If you only want to convert the clip, remove the full (unclipped) movie from the batch. It is not perfect (variable bitrates would be appreciated) but Aiseesoft remains my first choice in converters. After viewing the original video clip of the bird and then the "enhanced" versions done with Intel Quick-sync and Nvidia CUDA, it's clear that the enhanced versions look brighter with more vivid colors. At the same time it looks as though some of the video noise (flickering) in the white sky area next to the bird is increased, too. Overall, not a bad result, but it confirms there are trade-offs when you try to enhance imperfect video. Maybe without the light colored sky background other videos would show more benefit and less extra unwanted noise artifacts? Ootje, After viewing the original video clip of the bird and then the "enhanced" versions done with Intel Quick-sync and Nvidia CUDA, it's clear that the enhanced versions look brighter with more vivid colors. At the same time it looks as though some of the video noise (flickering) in the white sky area next to the bird is increased, too. Overall, not a bad result, but it confirms there are trade-offs when you try to enhance imperfect video. Maybe without the light colored sky background other videos would show more benefit and less extra unwanted noise artifacts? How does it compare with "Video Enhancer 2", given away here last February? A lot of output profiles. Mario, this one works. A lot of output profiles. Also 4k profile. Mavadelo, but trimming function and the "enhancements" are identical to their video converter ultimate and its clones. Not working under new radeon crimson drivers.Also video ultimate converter ,same company stopped working too. guest, it doesn't do anything video converter ultimate from the same company can't. ew, Not true!That software not working under radeon crimson drivers.